Information about your Councillors and elected representatives. You can also find details of all council committee meetings including downloadable agendas, documents and minutes. Winchester City Council is committed to embracing new technology and reducing its reliance on paper. Both measures will reduce the Council’s ongoing spend as well as its carbon footprint, please scroll down for more information. Winchester City Council is committed to embracing new technology and reducing its reliance on paper. Both measures will reduce the Council’s ongoing spend as well as its carbon footprint. Members of the public are able to access committee agendas and reports electronically for all Council meetings, with the exception of confidential information. As well as accessing committee agendas and reports via the Council’s website, this can also be done using the Modern.Gov app, which is available as a free download and on laptops using Windows 10 and above and Android and IOS devices. 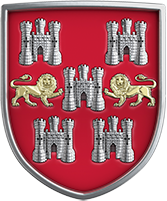 Users can subscribe to view Winchester City Council committee reports and agendas, as well as reports posted by other local authorities. Agendas and reports are available to view on the Modern.Gov app or the Council’s website the week before scheduled meetings. Paper copies of agendas will not be available at meetings.